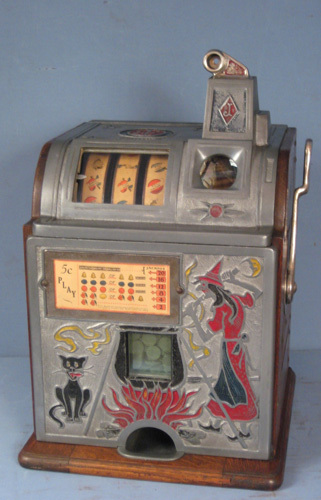 I own a number of antique slots but recently purchased a Bally Money Honey (electro-mechanical) slot for the grand kids. Does anyone have a good source for parts to these machines? I am looking for the plastic cam on the side of the coin hopper (pictures attached). Any help would be appreciated. Wishing you all a Happy Holidays.